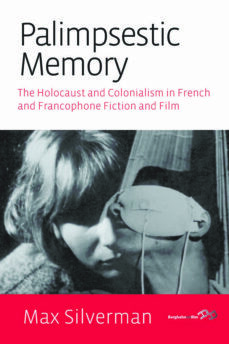 The interconnections between histories and memories of the Holocaust, colonialism and extreme violence in post-war French and Francophone fiction and film provide the central focus of this book. It proposes a new model of palimpsestic memory, which the author defines as the condensation of different spatio-temporal traces, to describe these interconnections and defines the poetics and the politics of this composite form. In doing so it is argued that a poetics dependent on tropes and techniques, such as metaphor, allegory and montage, establishes connections across space and time which oblige us to perceive cultural memory not in terms of its singular attachment to a particular event or bound to specific ethno-cultural or national communities but as a dynamic process of transfer between different moments of racialized violence and between different cultural communities. The structure of the book allows for both the theoretical elaboration of this paradigm for cultural memory and individual case-studies of novels and films.